Important events of December 3: What happened on this day? 1790- Lord Cornwallis snatched the power of justice in criminal cases from the Nawab of Mushirabad and took it in his hands and transferred this Nizamat Court to Calcutta. 1796- Baji Rao II was criticized for the Maratha Empire. He was the last Peshwa of the Maratha Empire. 1824- The British surrounded the fort of Kittur by decrying Kumuk from Madras and Bombay. 1828- Andrew Jackson elected America's seventh President. 1829- Viceroy Lord William Bentinck banned Sati practice in India. 1910- First show of Neon lamp in the world developed by French physicist George Cloud, for the first time at the Paris Motor Show. 1912- Turkey, Bulgaria, Serbia. Greece and Montgorou signed an armistice agreement. 1948- a Ship carrying Chinese refugees in the eastern China Sea has lost 1100 people from Wishpat Haine in Kiagyia. 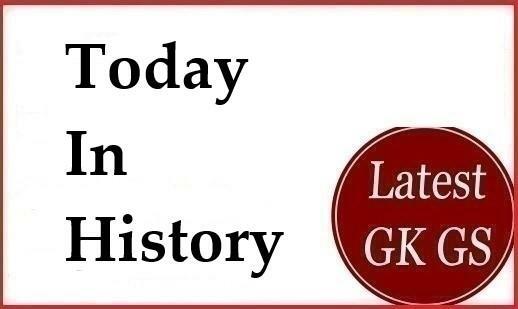 1959- India and Nepal signed the agreement of Gandak Irrigation and Power Project. 1967- India's first rocket Rohini RH 75 was launched from Thumba. 1971- Emergency was imposed in India after the war started between India and Pakistan. 1975- the Republic of Laos declared. 1984- Bhopal Gas tragedy happened. At least, 3,000 people were killed and thousands of people became victims of physical disorders due to the poisonous gas leak from Union Carbide Factory. 1989- President of Russia Mikhail Gorbachev and President of the United States George Bush announced the end of the cold war. 1994- First independent local election in Taiwan completed. 1999- World famous guitarist Charlie Lee Bird dies. 2000- Visit Fox elected the new President of Mexico. Australia defeated West Indies in a Test match with a record 12 consecutive wins. 2002- UNEP releases $60 million for the study of biodiversity in seven tropical countries including India. 2004- After 40 years, India and Pakistan agreed to restore rail link between Munabav and Khokrapar. 2008- Maharashtra Chief Minister Vilasrao Deshmukh resigned from the post after the November 23 terrorist attacks in Mumbai. 2012- 475 people died in Bhufa hurricane in the Philippines.